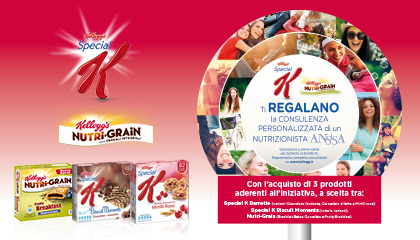 TLC Marketing Worldwide is pleased to announce the success of the promotional campaign for Kellogg's Italy, run for specific product lines Special K Bars, Special K Biscuit Moments and Nutri-Grain Bars, which ended 30th June, 2015. Maintaining a healthy lifestyle has always been the Kellogg’s mantra, recognizing that their consumers’ choice of diet and level of physical activity impacts their general health and wellbeing. As to reinforce this brand positioning, the campaign associated every multiple purchase with an ‘everyone wins’ prize: a check-up with a nutritionist member of ANSISA, the National Association of Specialists in Food Science. 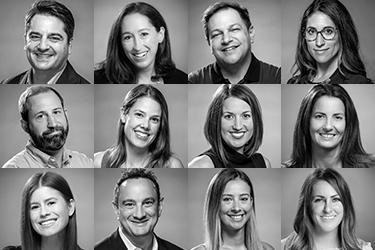 The project developed by TLC, from the creation of the promotional concept to the management of the customer experience, has proved successful, seeing an increase in sell-out, with double-digit growth. Contact TLC Marketing USA here if you'd like more information.